Closing date for applications: 5pm on Tuesday 7th May 2019. We have a number of positions available immediately, although we will also consider preferences for later starting dates. Decisions will be made on a rolling basis and we therefore recommend that interested candidates apply as soon as possible. Simetrica is an innovative and expanding research consultancy with renowned expertise in policy evaluation and social impact measurement. We are a firm of expert economists, statisticians, data scientists, and social scientists dedicated to applying analytical and quantitative methods to complex social and economic issues. We work in a wide range of areas, including statistical inference, data analysis, econometrics, applied and behavioural economics, and normative ethics. Operating at the very forefront of applied research, including wellbeing economics, we have become the leading consultancy on evaluation and cost-benefit analysis. Our clients include international organisations, national governments, multi-national companies, charities, and professional sports clubs, and our work stretches across sectors as diverse as health, construction and infrastructure, education, culture, telecoms, transport, housing, corporate social responsibility, and the regulated utilities. 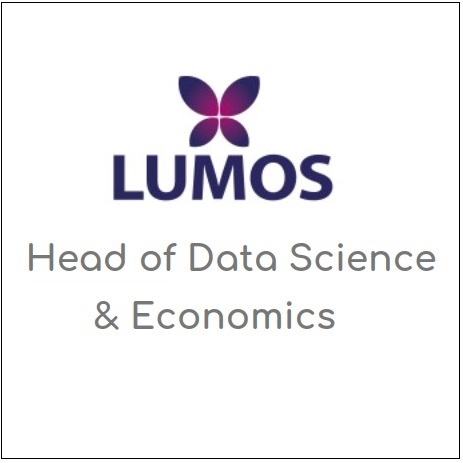 These exciting roles will suit individuals who enjoy conducting and organising quantitative analysis (from designing analysis plans and carrying out analysis to report writing) and wish to contribute to an enthusiastic and dedicated team of analysts, economists, statisticians and social scientists. The work requires a strong understanding of statistical techniques and offers the opportunity to contribute to important policy and social analysis. The post holder will receive training, significant on-the-job learning and development, presentations from expert members of the team, and the opportunity to attend conferences and work with leading clients and universities to produce innovative and influential research. Responsibilities will depend on your prior experience and the position deemed suitable for you within the firm but are likely to include conducting or managing statistical analysis; overseeing data collection and management; providing methodological guidance; report and bid writing and presentations; and working with clients. Some domestic and international travel may be involved. Undergraduate degree in a quantitative discipline with material elements in statistics, econometrics, or data science at 2:1 or higher. Strong understanding of statistical methods including: concepts and methods for causal inference (e.g. matching and instrumental variable techniques), experimental design and sampling, longitudinal analysis, non-linear models, and handling of missing data. Highly numerate with a high level of competence in statistical programming (e.g. in R, Python or Stata depending on the project) and in Excel. Excellent written and verbal communication skills in English and ability to work with others. Ability to plan and manage your work so as to deliver efficiently, on time, and to the client’s or user’s requirements. Postgraduate degree in a quantitative discipline with material elements in statistics, econometrics, or data science. Previous work experience in a relevant field such as research, policy or consulting. Knowledge of GIS, computing, data management, or survey design. Understanding of cost-benefit analysis techniques (e.g. as set out in the HM Treasury Green Book). Simetrica is an equal opportunities employer.